The subject’s blood volume is pulled down from the center of the body to the legs and pelvic vessels. Thereby a central volume deficit is produced and the heart has to try harder to pump back this sucked down blood, which is similar to an increased gravitational force and hemorrhagic shock. 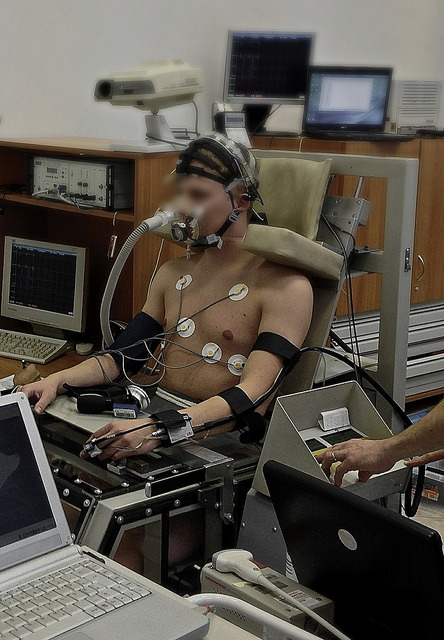 Thus, the device can be used to emulate quick onset gravitational stress or used as a countermeasure in space to keep the cardiovascular system trained for gravity. 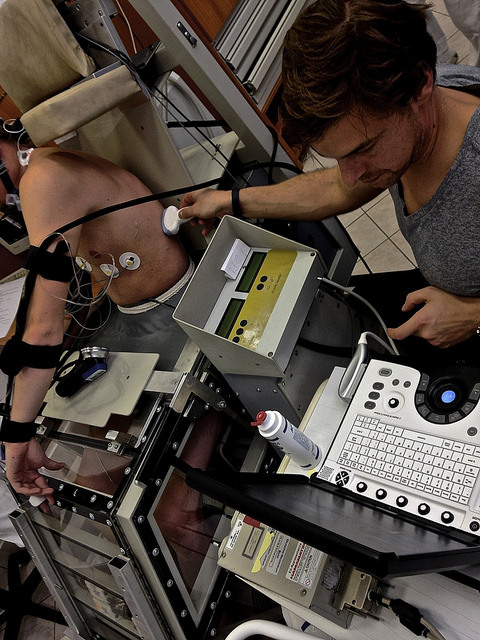 Research in the LBNP also provides insights into the integrative physiology of the endogenous physiological counter-measures such as cardiac function, blood vessel hemodynamics, and tissue oxygenation.